I was a happy girl after my husband agreed to have our wedding anniversary celebration at an Indian restaurant last Monday! 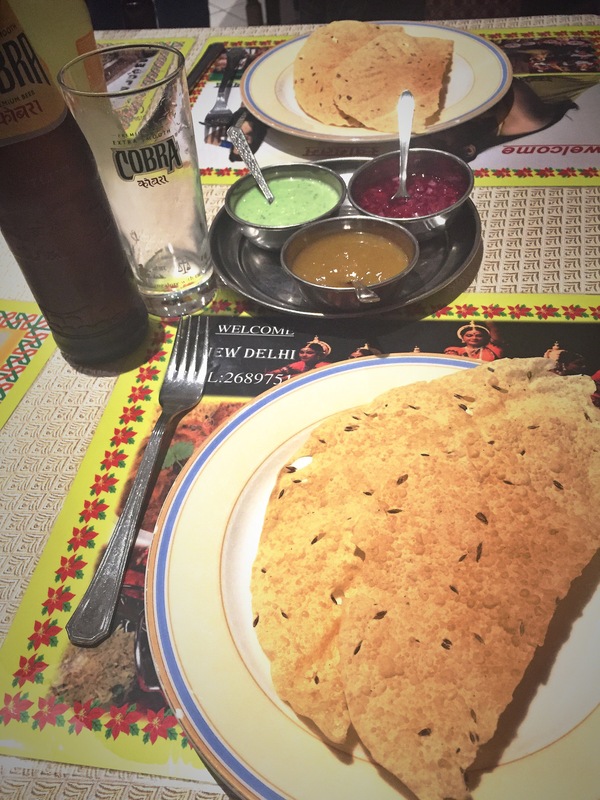 After checking suggestions online and excluded places we have already been, I decided to book at New Delhi in Gasperich, that is indicated by most as the best Indian restaurant in Luxembourg. We booked our table online at 9.30 pm without issues and we were surprised when we got there, being a Monday evening, and finding it fully booked! The place is on the quiet side of Gasperich, be aware in the evening parking might be an issue. The location is very warm and typical, with orange table cloths, wooden decoration and Indian paintings. A pity only for the very cheap looking plastic small cloths! We were given the menu and waited a bit before being served. 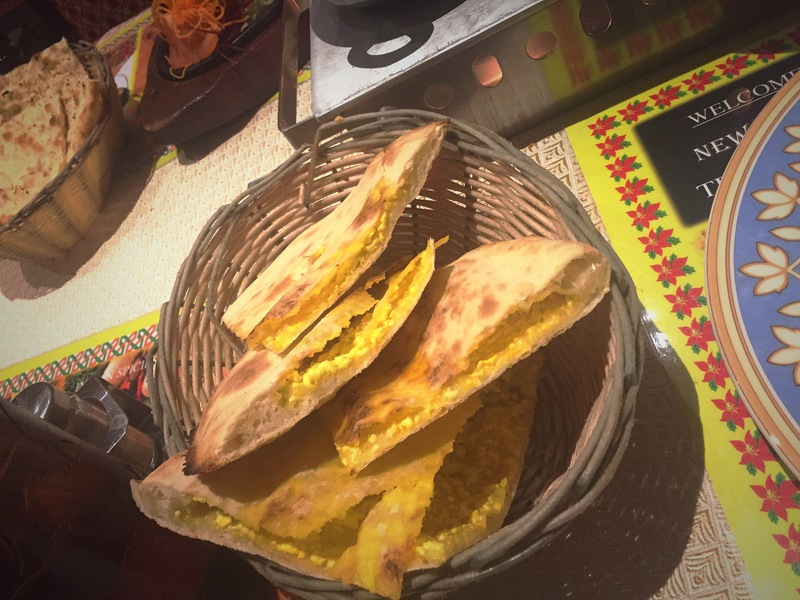 I went for a chicken soup as starter, followed by Vindaloo chicken and Cheese Naan. Hubby chose Meat Samosa as starter, Mixed Grilled of the Chef and Garlic Naan. I had some water and an Indian beer while hubby had half bottle of red Italian wine (you know him, right). I concluded with an espresso and hubby was offered a digestif. Indeed, I think this is among the best Indian restaurants I have been to in Luxembourg. The food was very tasty and authentic. 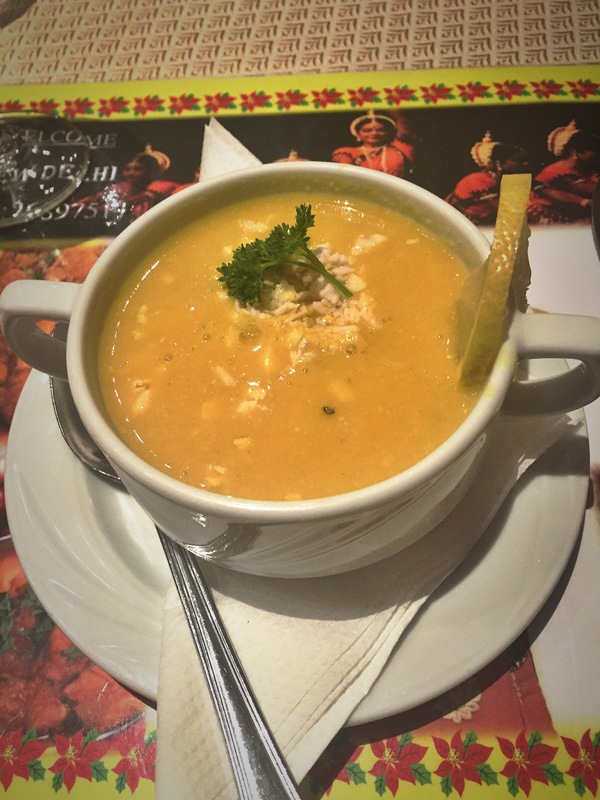 I loved my chicken soup (still dreaming it!) 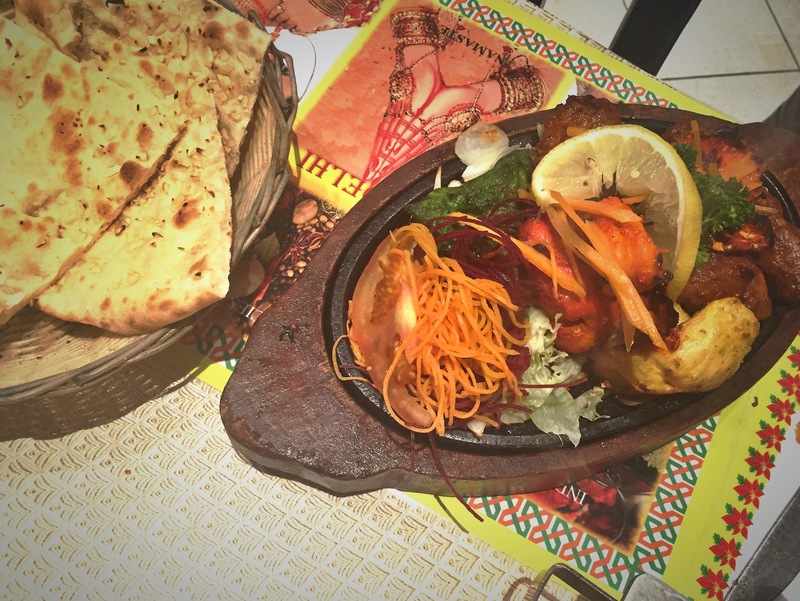 and tried also the samosa and loved them, both naan were very crunchy and not too oily, my chicken was very well cooked as well as hubby grilled meat – I am not a fan of tandoori, but this one really deserved, above all the green marinated one! Portions are fair and the prices reasonable – 14 euro for a Vindaloo chicken. Service is very nice: smiling, polite. Even if we were the last clients left, we did not feel the pressure to leave. I liked everything as said and I would considering coming back again. 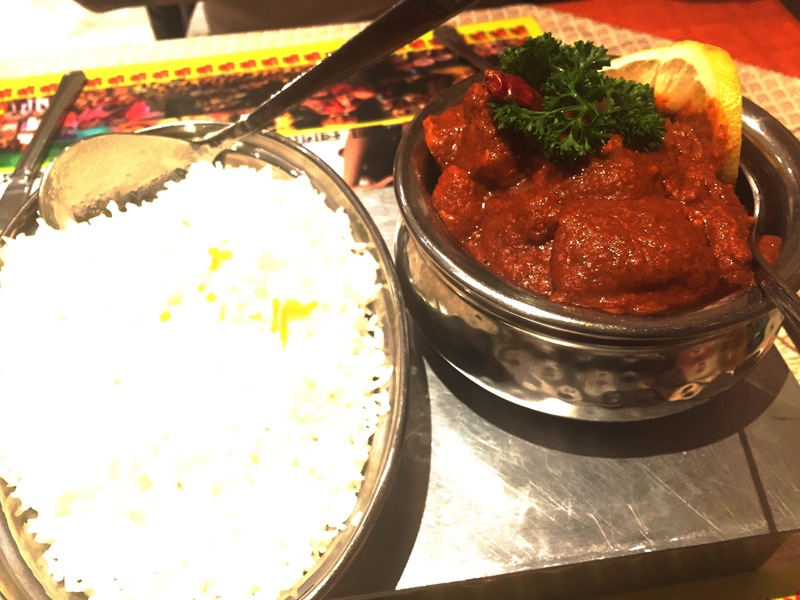 If only I have to find something, I would have liked my Vindaloo a bit spicier – as when I ordered it was pointed out the taste is strong (I know!) and I confirmed I like my Vindaloo very spicy. Next time I would accompany it with some vegetables. 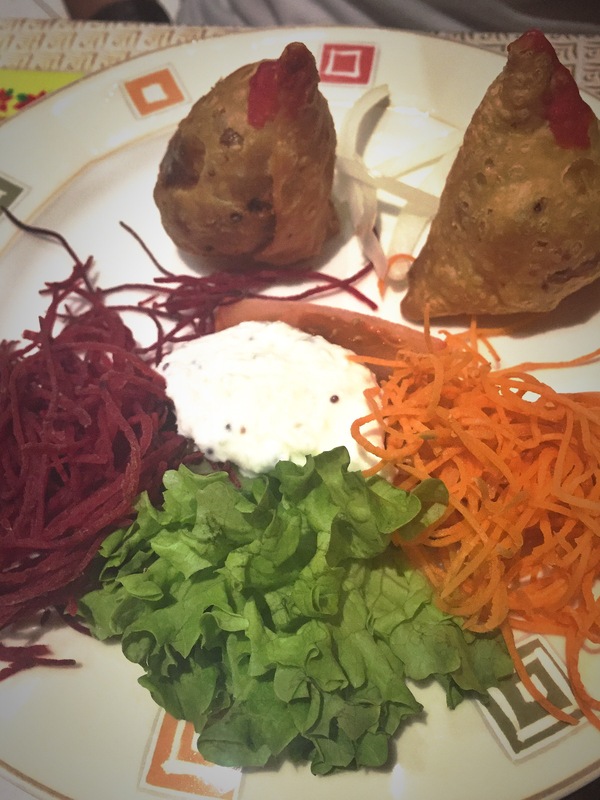 In conclusion: I really appreciated suggestions received to visit New Delhi, as it was among the best Indian food we had in Luxembourg. The location is cosy and the service extremely kind. I would definitely recommend it – book in advance as it might be packed. Perfect for girls night out, friends gathering, date night (not poshy one) and family celebrations.